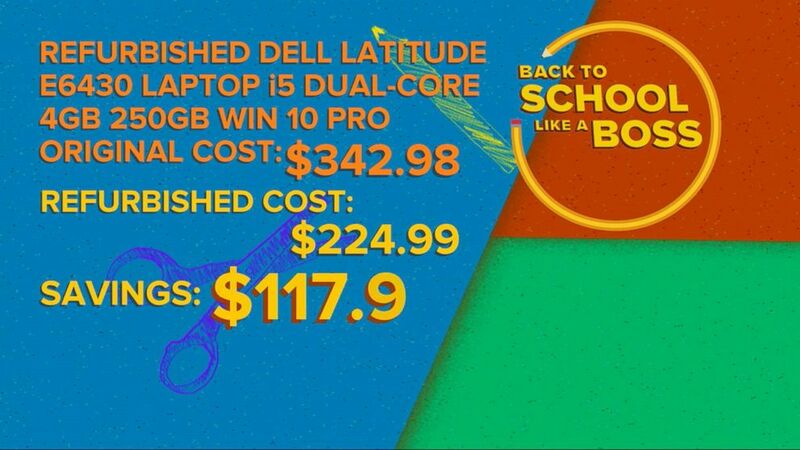 How to save big on electronics this school year. Buy new for $100 or buy refurbished for $70? Any parent or tech consumer has seen offers like this and most have us have wondered whether buying refurbished is risky or smart. Buying refurbished products can score you discounts between 10 and 50 percent. Here are some top tips to know before you begin shopping refurbished tech for back-to-school season. Get our full coverage to head back to school like a boss and own the school year. Note: There are two main types of refurbished products -- manufacturer-refurbished and seller-refurbished. These products have been sent back for some reason and have been reconditioned by the original producer of the product. The classic example of this is an Apple phone that has been examined, repaired, had parts replaced and is for sale, again, through the Apple website or store. These typically have smaller discounts than seller-refurbished products, but they usually have longer warranties. These are items returned to a third-party seller that are inspected and repaired by that third party. In some cases it is a big-box chain; in other cases, it is tech recycling companies like Gazelle that purchase gently used items and then inspect, repair and resell them at a discount. While some seller-refurbished items may have year-long warranties, others can be as short as 30 days. Seller-refurbished items generally have bigger discounts. (ABC News) Dell has an entire section of its site devoted to refurbished devices. Phones may be the best-refurbished purchase. Given that they can cost up to $1000, a few chips or cosmetic flaws can be worth the $100-$300 discount. The safest bet is to buy a manufacturer-refurbished phone. Apple guarantees the product with a one-year warranty, a new charger, and earbuds, and also puts a new battery in every refurbished phone. But discounts on the Apple site are more like 10 percent because of those added benefits. Samsung also offers refurbished phones with a one-year warranty and a new charger with earbuds. If you are more risk tolerant, Best Buy, Amazon, Gazelle and others offer discounts as steep as 50 percent. But the return policies are not as generous as those the manufacturers offer. The site www.refurb.me lists many offers, so you can compare terms and prices. (ABC News) Samsung offers refurbished phones with a one-year warranty and a new charger with earbuds. One caveat to watch out for: To future-proof your purchase, it’s best to buy refurbished phones that are less than two years old. 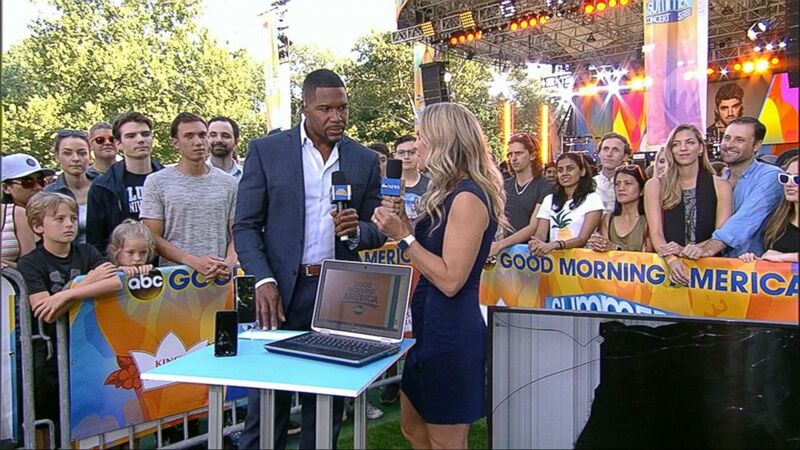 Older phones can become obsolete as IOS and Android software are updated. Tablets are great to buy refurbished with many of the same caveats as phones. One confusing aspect of buying a refurbished iPad: The naming convention for the Apple tablets is not linear or for that matter logical (iPad was released, then iPad 2, and then iPad again) so check the model number of the iPad in question to assess the release date of the device. Refurbished laptops offer steep discounts. The only downside is that inventories can be limited. So if you aren’t married to an exact model with a precise set of specifications, there are great deals to be had. Look for long warranties, manufacturer refurbs instead of the store or third-party refurbs (Dell has an entire section of its site devoted to refurbished devices), and be sure to find the model number and look up the year the device was originally released. While the laptop may be 50 percent off MSRP (the original retail price), if a laptop is two to three years old, you may be able to get it unopened and unused for a similar price. (ABC News) Apple guarantees the product with a one-year warranty, a new charger, and earbuds, and also puts a new battery in every refurbished phone. One rule when buying any refurbished product is to inspect it very carefully when you receive it to see whether you can spot damage. How do you do that with the platter of a hard drive that is encased in a soldered or screwed-down case? If a hard drive was returned, it probably wasn’t because the buyer didn’t like how it looked -- there was something that malfunctioned. Plus, the potential cost of the device failing on you -- losing all your data -- is not worth a 25 percent discount. While a printer may get reconditioned, one may assume that the innards and print heads have all had ink pushed through them by the original owner. Restoring a phone that’s functionally sound to its original state is an issue of bits: zeroes and ones. Printers may have ink dried in places you can’t see.